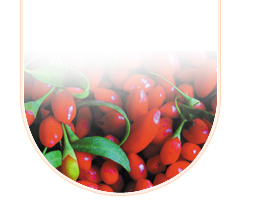 Ningxia Pure Goji Biology Technology Co.,Ltd Offer Black goji berries and the Wild Lycium Ruthenicum Seeds. We believed It’s gonna be the next big thing in superfoods!In theory they should survive anywhere in China, if provided with a well draining soil, or in the case of heavy clay soils planted into mounds and kept on the dry side. Alrighty, what is it and why grow it you ask? It’s a Goji berry, just like the famous red one, but instead of red, it’s black! (actually super dark purple). So first of all it gets the big tick due to novelty alone. It grows all throughout central Asia from China to Afghanistan, Russia, Uzbekistan, India and up into the Himalayas. The sheer remoteness of the plant, and local reliance on it has meant it is relatively unknown outside its natural range. Fetches such a good price locally that exporting outside the natural range isn’t cost effective, especially considering the distances and terrain involved. In its natural environment it is tough, super tough, handling salty saline soils, desert winds, heavy clay, eroded loose sands, years of drought, acid soil, constant grazing by foraging camels and goats, you name it, this fella can live through it and still produce good flushes of fruit from March to October. The health potential of this plant is really amazing as it contains huge amounts of proanthocyanidin or OPC. Procyanidins OPC is one of the most effective water soluble free radical scavenger and it has an efficacy is 50 times that of Vitamin C and 20 times as effective as Vitamin E. The OPC content of Black Wolfberry is 3690mg/100 g is the highest in the world even exceeding the blueberry 3380mg/100g. It also contains large amounts of essential fatty acids, (unusual for fruit), carotenoids, vitamin B1, B2, vitamin C, iron, zinc, selenium, polysaccharides, nicotinic acid, ascorbic acid, sitosterol, linoleic acid, zeaxanthine, amino acids and the alkaloid betaine. Traditionally prescribed for the treatment of diabetes, anemia, vision problems, impotency, heart disease, abnormal menstruation, lung disorders, liver and kidney problems, menopause, strengthening the immune system to prevent cancer and even AIDS. Even said to cure blindness in camels! I can’t attest to the validity to any of that, but there are studies going on as we speak into the preventing and slowing the growth of cancer. The most common way to ingest the fruit is fresh, or dried, or made into a tea. Just a couple dried fruit added to cold water are able to dye it a vivid purple, and I’m lead to believe that this purple colour is where all the goodies are, like in grapes and blue berries.